After nearly calling it quits, Town of Saints returns with an album that may truly signify what it stands for and who it is. 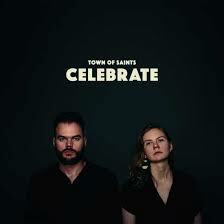 More than with the two predecessors Town of Saints has reached into its inner core and comes out with Celebrate. An aptly titled album that celebrates the music released here. An album that shows the core of this band. At times with an The Hackensaw Boys' abandon U.S. country music is celebrated. The alternative rock layer that was always put over this core, hiding it from the world even, has been laid by the way side. "If the car don't start, we know the place where we are going to die", sings Harmen Ridderbos, accompanied by the loud violin of Heta Salkolathi. Yes, I know the feeling. It could have been a moment like this that led to an epiphany on how to continue. Of course this is only one part of the story of Celebrate. Town of Saints has not left everything behind, as the second song 'Requiem For The Living' shows. In this strong, powerful song the rock side of the band comes forward. In fact it reminds me directly of the kind of music Death Goldbloom made on its superb mini album 'Cluster Funk'. The violin meanders through the whole song. Giving it something unique, before the electric guitar simply explodes. Another reference certainly is Chris Isaak. Next up is a variation on Emmylou Harris' cover of 'C'est La Vie', where the violin intro is concerned. It seems like the Charlie Daniels band is revived. At the same time this song is 100% modern. So tight and solid. 'No Mistakes' is a true hybrid song of many styles and eras, that gets away with it thanks to the strong delivery of Ridderbos' voice and the tightness of the band. Another song showing the urgency Town of Saints seems to feel and expresses full force. The kind of song meant to win people over for the band. The true country of old comes through in 'Weeds'. Town of Saints doesn't play hide and seek here for certain. Nobody would have been surprised, had it been a release by the likes of a Grayson Capps. Although the band plays a little with the form, adding some modernities to traditional country, the love for this genre shines through abundantly. As it does in many places over this album. 'Up In Smoke' was such a forceful and good single that I decided to dedicate time to it exclusively. My conclusion remains fully intact (read on here: http://wonomagazine.blogspot.com/2018/06/up-in-smoke-town-of-saints.html). We're in Ferd Moyse, now ex-The Hackensaw Boys I understand, territory alright in playing the violin and chanted singing. The album remains as divers as mentioned until now. From, almost, lofi in 'Elegy (The Last Dance)' and spoken word in 'Oscillate' that explodes into a violin propelled rocksong, to Jake Bugg rock with a violin. It can all be found on Celebrate. And then some more. Hence my conclusion that Celebrate may be all Town of Saints has to offer. Facing the end of their career Ridderbos and Salkolathi have come up with the best they have to offer in 2018. A very smart move as far as I'm concerned.